As I said, a HL2 Beta inspired modification for Half-Life 1. But in my form. I admit that I am a terrible 3D modeler because I'm just too lazy to work on anything related to 3D. I am a 2D artist. But I still want this mod to be completed someday. Can I get motivation? Can I? I hope you will complete this mod. Do you have moddb page? No and why should I have that? In reality, you don't need a ModDB page right now. You can create a ModDB page right after you finish the mod 100%. You might wanna create a mod page if you want to get people hyped and excited about the mod, or to maybe show WiP screenshots and videos as you go - all that might increase the mod's potential popularity. And of course, a mod page will probably help with motivation. You can see how many views there are, people might write comments, but only if you have something worthy to show them. Seeing that people are interested in the mod helps a lot with motivation. Great. But my problem now is the modeling and animations. I'm decent at making models but I'm awful at animating them so this mod can't possibly be a one mans job. Especially when I decided it would be voice acted. tell more about your mod maybe someone will interest to make your models. and moddb can help you to gather modellers. there used to be a page for gathering people. But it seems this page is deleted. Yeah, that article wasn't very well written, so I removed it. You can still read it here if you want. Perhaps I shouldn't have deleted it? EDIT: Almost forgot to say that the collision box is way to high. Use a cycler_sprite if you want a prop model in your map. A regular cycler entity has the collision box of the player. But sprites don't have collision. Right? And, I'm surely aware that your profile avatar is because of me. I mean, it's depressive. Manually build a clip brush around the models if your collision is wonky. Sprites don't have collision, yes. But you can always place a CLIP brush to define the collision box, as Instant Mix said. My avatar isn't because of you. It's just a selfie I took after taking a shower, maybe in early 2018 or so, and then I did some stuff to it in GIMP. It was better than my old one anyway. As for looking depressive, well, I can be happy (I mean, I am most of the time), but I look a bit ugly when smiling. So don't worry, it's just a coincidence. My computer that I am using for Half-Life now is slow when it goes with compiling the map. Possibly cause of it's age. (Revert3D however works flawlessly) It takes time to say. And yes everyone thinks smiling is ugly. Even my 2018 PC can slow down significantly when it's compiling. I should also mention that this game takes place in an alternate Earth with two sentient lifeforms and different countries. The country that's gonna be in the game is a mix between Sweden and Russia. The progress on Rack77 is gonna be a-lot slower then what even I think it could be. Because I have so much else to do. I have to create a PSP homebrew and I have tons of projects in my main Macintosh computer. It'll be years before this project gets done. Take your time, man. Some of my maps have been in progress for years due to other maps and projects. But it gets done eventually. Anyway I have worked on the first Civilian model and want to know how the "switchable heads" function works. Like how would it look like in Blender? You Admer don't need to answer me this if you can't, someone else can see this too. I like the design of the basement, though it should have some more little details. Though I shouldn't really be telling you what you should add, you should start using reference images. 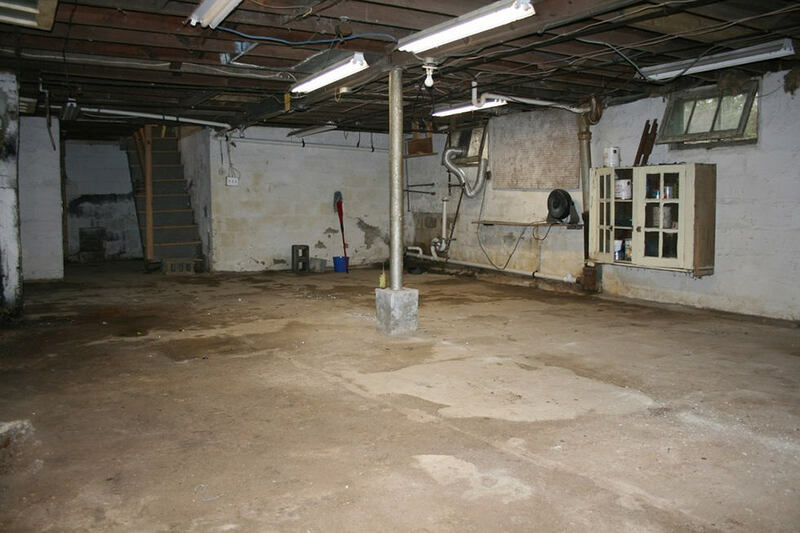 This might not exactly be what you are looking for the basement to look like, but I would imagine that this would look fitting for a basement to look like. To say the truth the map that the basement is located at where just a small test map. But. Yeah actually I will detail it more now when you say it. Processed in an unfortunately relevant 127 milliseconds.